Hunter is always after me to be on the computer. He wants to play games and to type, trouble is, he isn’t very good at the typing part. We had a nice time using Keyboarding for the Christian School a complete typing curriculum created to help you teach your children how to type using today’s technology; the Keyboard. We reviewed Keyboarding for the Christian School, Elementary Version, the cost is $12.95 and is designed to be used for grades K-5. We learned the basics of Keyboarding with the help of Miss Mabel the ladybug. The Elementary Version is available in both regular and large print. I liked the pace of the lessons. We did not feel overwhelmed with what they were asking us to type. Hunter was able to move through a lesson in about a half an hour…. the last exercise of each lesson being the one that took the most time. It was a blessing to see my child typing more than just rote words, but verses and biblical truths. This is a curriculum we will use over and over through the elementary years to help build speed and typing fluency. 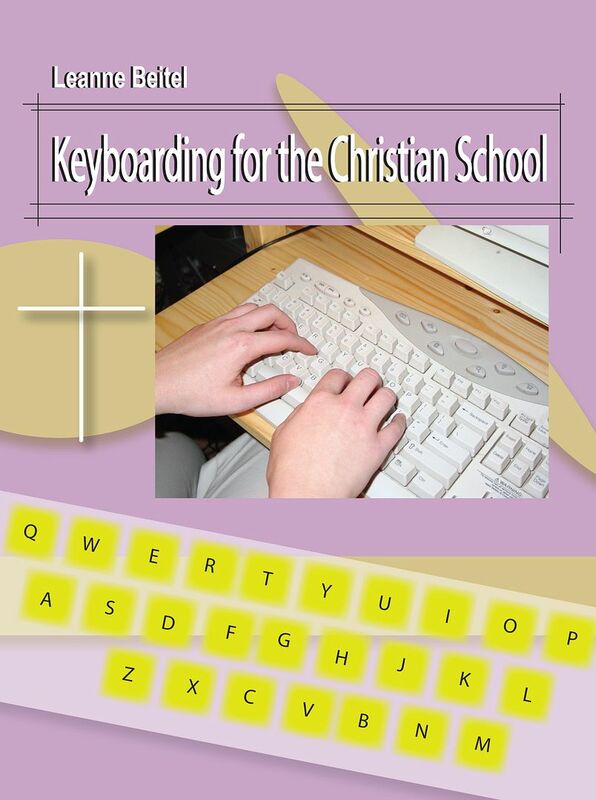 If you have older students that need to learn how to type, or perhaps just improve their speed, Keyboarding for the Christian School, costs $15.95 and was created to be used by students in the 6th through the 12th grades. You may view sample lessons HERE. Please visit the Keyboarding for the Christian School website to see the Teachers Tools and other courses they have available to help your child type and understand how to use their computer keyboard. 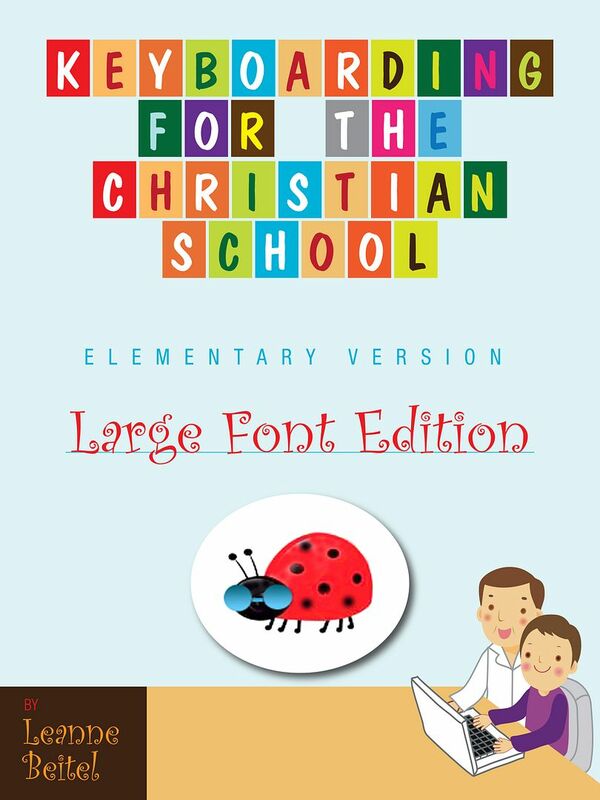 Keyboarding for the Christian School is an e-book. That means you download it to your computer and can use it over and over and over. We printed out the pages for the lessons we would work on that day. I think it was very beneficial to Hunter to learn how to type from a piece of paper and not just something from his own head. I have heard that other members of the Schoolhouse Review Crew used their e-books in a variety of ways over the past weeks. To find out more about how each family used this product in their own homeschool follow the link below. As a Schoolhouse Review Crew member I was given a download of Keyboarding for the Christian School, free of charge, solely for the purpose of this review. No other compensation has been received. All opinions above were based on our use of this product in our homeschool environment. Great literature unfolds a page at a time….. and so should the lessons. 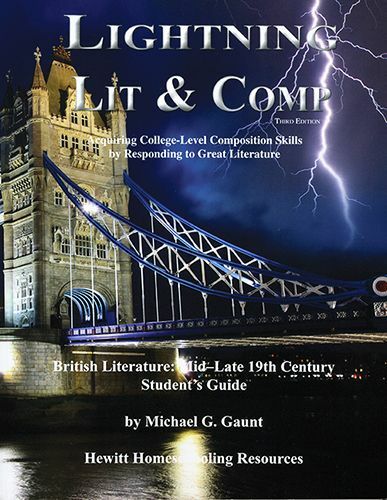 I have thoroughly enjoyed using Lighting Literature & Composition ( recommended for grades 10-12) by Hewitt Homeschooling. We were able to review their British literature: Mid-Late 19th Century Student Guide and Teacher’s guide. We focused on the poetry section in Lesson 1 by Alfred Lord Tennyson, since many of the selections were included in the book. As I write to you we are in the midst of doing Lesson 2; reading Silas Marner by George Eliot. The student text begins with a very healthy introduction, which I recommend you read. If nothing less, it will be a refresher of what you may have learned in your own literature studies and it will help you to brush up on your terms and how to apply them as you teach your student. Reading the Poetry section was especially helpful to me. College was a long time ago, I had forgotten things like Assonance ( the repetition of vowel sounds) and the section on Meter ( the measurable rhythm of the words) was a great help. The introduction on writing a paper gives the student a clear and concise target to shoot for as the write. There are great guideline questions to help them self edit and re-write. My daughter found the pages on Fluidity of Language and Pronoun Confusion helpful. It helped her understand why some of her college professors were marking things differently than others as she had turned in her papers last year. I helped me as a parent to know how to better critique my younger students and offer assistance to them as I read what they write and prepare for college papers. The Teachers Guide has a nicely organized schedules for you to use, both semester and weekly for a full year long course. There are grading tips and sheets, as well as all the answers to the comprehension questions throughout the student text. I will keep it real and let you know that I am very grateful for comprehension questions, especially where poetry is concerned. Some times I read through a poem and then say… ” What? What did that just say?” and having the questions in the student text helped us through the poetry. We are very much enjoying reading through Silas Marner…… we are reading it aloud and going through the discussion questions as a family. Discussing them as we meander through the summer, staying indoors to read and escape the near 110° heat. Even my younger children are learning the finer points of plots and sub plots and better understanding what a climax is within a story. I look forward to continuing on using this literature guide through the summer. I think we will purchase the Early- Mid 19th Century book next! I would highly recommend this course to those who are looking for an affordable comprehensive High School Literature course. All the guides and books are available for $52.86. Just the Student and Teacher guide alone are available for $33.90. 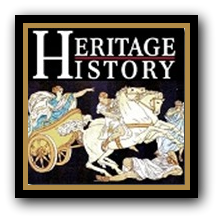 Please take the time to read the other reviews on the many different products that Hewitt Homeschooling has to offer by clicking the link below. ******Disclaimer******* As a member of the Schoolhouse Review Crew, I received Lightening Lit and Comp from Hewitt Homeschooling, free of charge, for the purpose of this review. No other compensation has been received. When you are out and about running errands are you ever caught by surprise at the wonder and beauty around you? Have you ever sat a stop light in town and just glanced up to see the most amazing colors in the sky; greater than any artist could imagine? When was the last time to stopped to admire the dew on a spiders web or the intricate weaving of a birds nest? 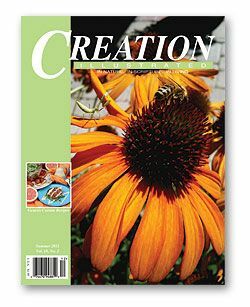 Creation Illustrated is a family run magazine that desires to share with you the beauty and wonder of the world we live in. Each article is full of wonderful color photographs that let you see nature up close. The articles are well written and come from a variety of contributors. 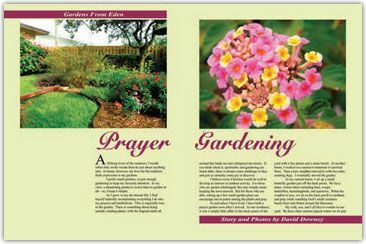 Each article has scripture to share with us what God says about the planet he created. It isn’t just a magazine for your children. It is a magazine the whole family can enjoy and discuss. The photographer in me loved this magazine. The photos made me want to grab my camera and start shooting. 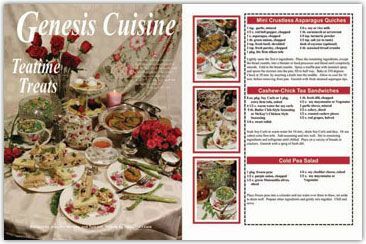 I really enjoyed the Genesis Cuisine section. The recipes are easy to follow and great to make as a family. My kids and I enjoyed the Mint to be Green Smoothie from the Spring Edition, oh!, and the Grilled Grapefruit and Green Dressing was delicious! If your family would like to try this magazine. I would love to offer you a free introductory copy. Subscriptions are available for this quarterly publication for $19.95 a year, $37.95 for 2 years, $ 53.95 for 3 years. 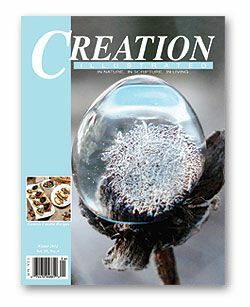 If you live outside the US please visit their website: www.CreationIllustrated.com for the rates that would apply to your location. as a Schoolhouse Review Crew Member, I was sent a full year worth of Creation Illustrated for the purpose of this review. No other compensation has been received. Pearson Education has developed homeschool curriculum for students in Preschool through the 12th grade. You can find them on the web at PearsonHomeschool.com. I was able to review their 4th grade edition of enVision Math. You can purchase a homeschool math bundle from them for 99.00 Each bundle contains a student text book, a CD ROM version of their teachers text book, and a Mind point Quiz Show CD. Please visit their website to see individual pricing. The work text is definitely a non-consumable product, it is not intended to be written in by the student. Your student will need to copy the questions onto a new piece of paper, which is not the end of the world, but it is time consuming. I would have preferred to see more review of topics through out the book. It seems to me that a subject is introduced and covered and then moved on from. Hunter wasn’t too excited about the Quiz Show CD…… he did it the times I asked him to, but he didn’t seem engaged with it to the point he asked to do it independently, and he usually likes most computer based games. All in all, it is a text book. Just like they use in a brick and mortar school. 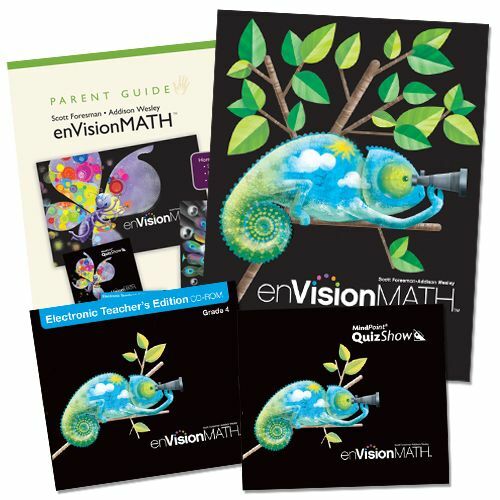 If you are interested in making sure you are covering the material needed for a year of school, and you don’t seem to need much review, then this math product might be a fit for your family. While it was colorful, and easy enough to teach from. I just didn’t feel like it had enough substance to it for concepts to be grasped through doing them more than a hand-full of times. Unfortunately, enVision Math was not a fit for our family. Please take the time to read other Schoolhouse Review Crew Members have to say about this, and other products by Pearson Homeschool as you prepare for your upcoming school year. As a member of the Schoolhouse Review Crew, I was given the opportunity to review enVision Math 4. The product was provided free of charge expressly for the purpose of this review. All of the above opinions are a result of using this product in our homeschool. No other compensation has been received. I just love. love. LOVE. Write Shop Junior. Every-so-often something comes along and you just know it was tailor-made for your child. That is how I felt with WriteShop Junior, Book D. This writing curriculum just clicked with our 4th grade son, Hunter. It was easy to understand and prepare for, and easy to comprehend and learn from. It instilled a sense of confidence in Hunter, who up until 6 weeks ago would have run from the table, as if on fire, if I had asked him to write a paragraph, let alone a page. This curriculum was created for 3rd, 4th and the reluctant 5th grade writers in your family. Lessons are clear and concise. I never felt lost in the Teachers Book. It was clear where to begin each day and what days of the week to cover the work on. Each daily lesson is divided into 30 minutes segments to teach. They are fully scripted to ensure I would cover all the bases. Prep time would run me about 30 min to an hour (depending on how detailed I was), every two weeks. The most time consuming portion of the program, for me, was setting up the Grammar Folders. I did them all in one day, and it took several hours to get them trimmed, stapled, labeled and the bookmark portions laminated. That said, Hunter loved those things, I had trouble keeping him from filling them all in at once! The main stumbling block to Hunter’s writing has been his spelling. It is pretty bad. He always seems to get papers handed back to him covered in corrections. This has always been discouraging for him. WriteShop Junior, Book D, involves him in his editing. No longer am I the big, bad, evil, wielder of the red pen. He starts each editing project out by looking for the excellent work he has done and this softens the blow when he starts with his red marker on those spelling mistakes. With each lesson he spells a bit better each time. After all the editing, he was so proud of his published papers, he would tell us all 6 kajillion times what each and every sticker signified on the finished product. Thank you, WriteShop for revolutionizing writing in our home. 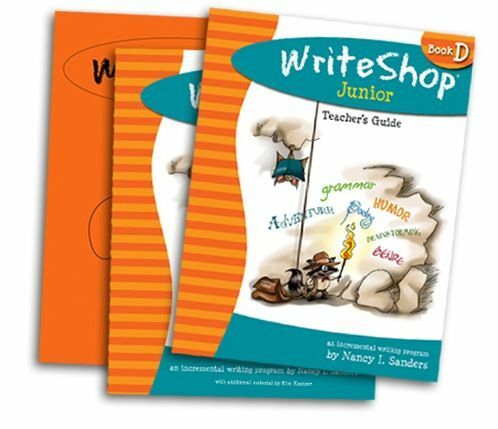 WriteShop Junior, Book D sells for $39.95, and included the student worksheets, and all the pages needed for the Grammar Folders. The Teachers Guide is $34.95. You will want the Teachers Guide, Trust me…. it is where all the teaching comes from, you would be lost without it. Another item, and it is listed as optional on the website…. but in my opinion is the biggest time saver in the world… The Time Saver Pack. It sells for $13.95 and it is worth every penny. Printed on sturdy colored card stock, all you need to do is cut and use or poke and play… No hunting for paper and hoping you have the ink. It will dramatically reduce the prep time you will need before every lesson. WriteShop has graciously offered up a discount to you if would like to purchase their curriculum before the start of the new school year. To receive a 15% discount on WriteShop Primary, and WriteShop Junior products (including e-book versions) use the coupon code CREW15 at checkout. This coupon is valid until June 15th 2012. We reviewed the product in it’s traditional print version, some of my fellow Crew Mates reviewed the e-version of WriteShop and share their opinions on our Crew Blog. Be sure to stop by and read the reviews to see if there is a level of WriteShop that will work best for your family. 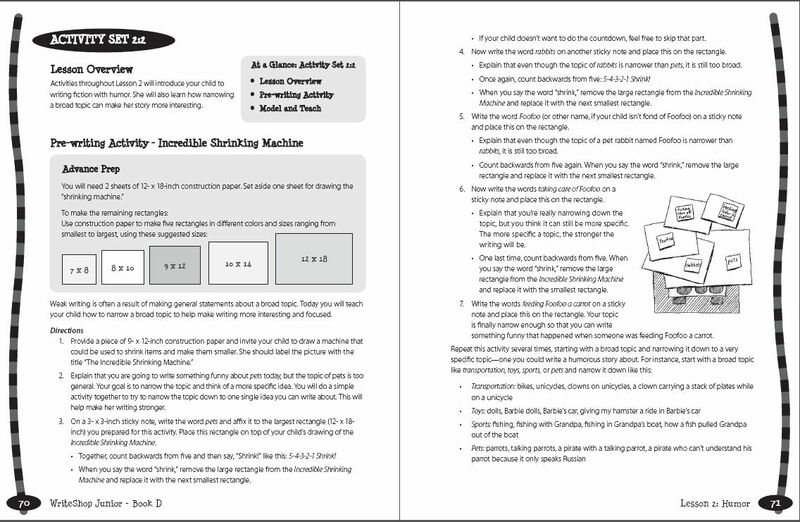 As a member of the TOS Homeschool Crew, I received a copy of WriteShop Junior, Book D, and the Time Saver Pack from the WriteShop, free of charge, solely for the purpose of this review. I was in no way obligated to gush fervently about their product. That happened naturally in the course of using it daily and seeing results with our student. I don’t receive any extra special stuff, or monetary compensation (rats!) for writing a nice review, just the satisfaction of a job well done, and the ability to keep an amazing product for our personal use. I love the smell of paper as it ages in a book. I love the quiet hum of adventure that I feel when we walk into our local library. If I had a million dollars, I can envision a room in my home with walls lined from floor to ceiling; containing good wholesome books for my children to read. I would pass hours, if not days, there…… tucked under blankets, sprawled across sofas and wing backed chairs, traveling to places that only my imagination can go. Trouble is, books cost money and for many homeschooling families, like mine, that live on a budget, cost is the single most prohibitive part of building that cozy homeschool library that lives in my mind. That is why I would like to share with you a website; one that hopes to help me build that library of my dreams. 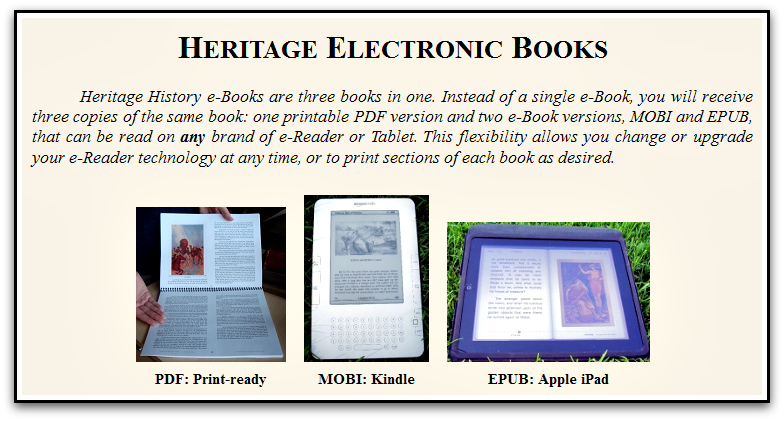 They offer quality new and used living books, at bargain prices. I can search by curricula, and find books for Five in Row, Tapestry of Grace, Beautiful Feet, Sonlight, Ambleside Online ( that’s the one we use!) and more. They have a wide selection of Vintage & Hard to Find Books, to compliment your child’s learning. I really enjoyed looking around their website. It was easy to use, and very easy for me to find many of the books I have spent HOURS online looking for in the past. Their newsletter, is short and too the point. It isn’t overly cluttered with information making it hard to see what it is you might want to know more about. Best of all, IT’S FREE! They included a free e-book and activities to do with your kids during the month, along with a bit of encouragement. With their FREE Membership, I have the opportunity to earn book points and stretch my homeschool dollar. I receive notification of great sales, before they happen, which is important to families that have a budget. I have access to their book search feature for help in finding that hard to locate book. There is also a way for me to bless others, I can buy from their Helping Hands section, and part of the proceeds will be given to Compassion International. I hope that you will stop by Homeschool Library Builder in the month of May to receive 25% off everything in the entire store, and start building your library today! This review was written as a member of the TOS Homeschool Review Crew. 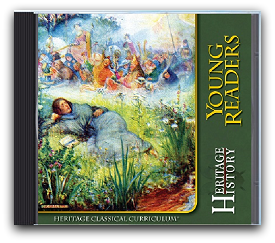 I received access to Homeschool Libraries Newsletter in advance of their May Sale. I was also offered a promotional code to use for an additional discount should I choose to purchase a product from their website. (though not required as part of this review) … All for sharing my opinion about their website with you. No compensation or physical product has been received for this review.